Description - Endurance Center Drive elliptical trainers are the perfect blend of research, engineering, performance, and technology. Patented technologies have been applied to provide a stable, space-efficient platform to perform rigorous low impact full body workouts. The combination of a natural stride, quality manufacturing, and superior programming have created the latest evolution in cardio training. To ensure the best fit for users of all sizes, the E400 features an adjustable stride. The E400 also features wireless heart rate control with advanced heart rate programs. 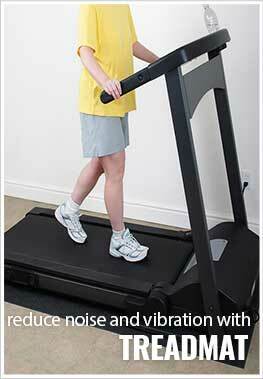 Stride Adjustable stride from 17" to 23"
Dimensions (L x W x H) 50" x 31" x 66"
The E400 offers various program modes including a Quick-Start Mode, 6 Preset Program Modes, 5 HRC (Heart Rate Control) Programs, and two User Profile Modes. MOUNTAIN: This program takes the user gradually up to a high resistance level, then brings the resistance level back down to the starting point. This program simulates what one might encounter on a true mountain course. This is a difficult program since higher tension levels are maintained for long periods of time. HILL: This program takes the user through two hill profiles. Resistance changes are small during this program. This is a good program to get started with or for someone looking for a lower stress workout. RANDOM: This program randomly generates a new program profile every time it is chosen. This allows you to keep the workouts fresh and motivating. When you scroll thru the programs to reach the RANDOM program, you will be able to see the program profile. If this profile is not to your liking, simply scroll thru the programs again, and a new RANDOM program will be generated. The RANDOM program will be different every time you use it. INTERVAL: This program simulates interval training thru a series of two hill profiles. INTERVAL MOUNTAIN: This program simulates interval training thru a difficult mountain profile. INTERVAL SPEED TRAINING: This program simulates interval training with more extreme levels of high and low-intensity levels. TWO USER PROFILES: User Profiles U1 and U2 allow you to customize and save an exercise session. Recommended For - Body-Solid Endurance E400 Elliptical Trainer is the perfect low impact machine for any home gym. Wireless HR strap and grips. Easy move handles and wheels. Body-Solid's Endurance E400 Elliptical Trainer comes is similar to the E300 trainer coming with a Quick Start Program and and 6 preset program modes. The se modes are Mountain, Hill, Random, Interval Speed Training, Interval, and Interval Mountain. You also have the ablity to customize two user profiles. Body-Solid's Endurance E400 Elliptical Trainer comes equipped with heart rate contacts as well as a heart rate control chest strap so you can use the 5 heart rate control programs. These heart rate control programs are Target Heart Rate, Heart Rate Cardio 80%, Heart Rate Fat Burn 65%, Heart Rate Hill 65-85% and Heart Rate Interval 65-85%. Each heart rate program is designed with a specific goal in mind. Body-Solid's Endurance E400 Premium Elliptical Trainer display features a 2-window color LED display with easy-to-use functional buttons and program controls. This display has a message windo, a profile window, a lap display, and different program modes. Body-Solid's Endurance E400 Elliptical Trainer is backed by a lifetime residential warranty. This warranty covers a liftime warranty on the frame, 5 years on the parts, 2 years on the electronics, 1 year on labor, and 6 months on the wear items.